Halcombe Norilsk: Your vote does not matter US 2016 Election results. Your vote does not matter US 2016 Election results. "If you trump another player´s card, you beat it with a card that belongs to the group of cards that has been chosen to have the highest value in the game you are playing" Definition of Trump. Cambridge Dictionary. Donald Trump is the new president of United States. Yet, I find very interesting what I have learned about him. According to experts he has NPD Narcissistic Personality Disorder. The problem is people do not accept this as something negative and never get cured. These people need to be recognised and feel admired and love being famous. What is more, they take advantage of people around them. Others claim Donald Trump is a sociopath. He is able to do anything in order to obtain what he is yearning for. Bible of Donald Trump is book "The power of positive thinking" by pastor Dr Norman Vincent Peale, written in 1952. Donald Trump has had more than 3500 lawsuits in the last 30 years. Grandparents of Donald Trump came from Germany. In fact, his real surname is Drumpf I believe, his grandfather changed it to the winning one Trump. They worked in Western America helping miners with alcohol, food and women. Father of Donald Trump got rich building houses in Queens, New York taking advantage in loopholes New Deal offered. Donald Trump inherited from his dad plenty of money to invest and to live comfortably. Yet, he expanded it to have a bigger and global impact. I have been following Donald Trump since he presented his candidature. No matter people laughed at him. I really think he was going to be the Republican nominee. However, after seeing his performances at final debates against Hillary Clinton I thought nobody could vote for him. He seemed like a fish out of the water, anything but a politician. His answers and his behaviour were so weird he could not have been taken into account seriously. Nevertheless, nearly 60 million people have voted for him, this means 60 million people deemed his debate performances fine. What is more, 60 million people believe his promises. 60 million people think he should be president of United States of America. 60 million people consider his behaviour, comments and political skills at least acceptable. I really think the whole United States election system does not make any sense at all insofar as if the candidates are to be the utter representation of the entire country the one who obtains popular vote overall has to rule the nation. It is as simple as that. Furthermore, there are already politicians who represent states thereby not only US elections are a failure it ends up being the decision of five or six secondary states. 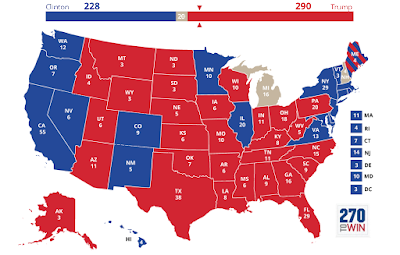 It does not matter if you vote in Texas or New York, two of the most important states, however candidate is chosen, however mistakes are being made, Texas is going to vote for a Republican candidate and New York is going to vote for a Democrat one. Since the complete number of votes does not matter you should move to Ohio or Florida to have a real impact in US elections. If they do not change this the result will always be overshadowed in my opinion. In fact, I do not believe there are many countries in the world that follow this United States pattern. Is a simple as to realize that if you are going to rule a country you must have the majority of votes of that country. If you win a state with 51% of the votes is the same as winning it with 95% of the votes. In my opinion, this cannot be maintained. I do not believe they are going to change this because they love their traditions, it is like voting on Tuesday (there is a story of mine here on Niume explaining why United States vote in Tuesday) or the long and gruelling pathway a candidate must endure. This strange political system will continue. Hillary Clinton won popular vote, she had more people voting for her than Donald Trump had for him. What is more, she had more votes than Kennedy and Nixon when they won US presidency. Yet, perhaps her political career may have ended once she lost against Barack Obama in 2008. She could be more than happy having worked as secretary of state, a position she could still be having with perhaps a new Democrat US president. However, the title "First woman president" is so attractive she ran again. What Democrats did was not only ugly was also their key failure. They were given double delegates to Hillary Clinton when debates had not been started yet while Bernie Sanders was winning states and rendering great debate performances. What is more, Barack Obama stopped Joe Biden from presenting his candidature because it was the time of a woman as president and the proper time for Hillary Clinton. Someone thinks Donald Trump would have beaten Joe Biden or Bernie Sanders?. Enemies of Bill and Hillary Clinton had counted on different issues to attack her. Yet, Bernie Sanders has no scandals attached to his persona. Given the experience of Donald Trump, all his scandals and the political acumen of Bernie Sanders, he would be now United States president and perhaps Hillary Clinton could still be secretary of State. the US system makes a messed up kind of sense if you look at the history of the US: it's a voting system designed by people who were scared of "the people" and wanted a check between the masses and the actual election of a president. Plus, counting the votes of a handful of delegates was just going to be easier, way back when everything travelled by snail mail and horse carriage. 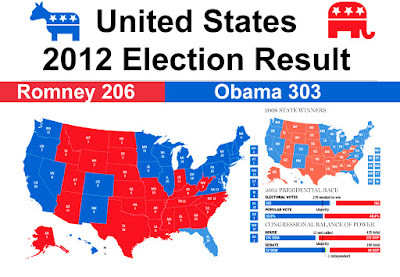 And lastly, the electoral college is specifically set up to benefit slave states. If people's votes directly elected a president, then only the people who actually can and do vote would count towards the total; electoral votes are based on the total population tho, and that included black slaves (hence the "3/5ths of a person" line in the original constitution); that gave the voting people in the slave states a lot more power than other states. It still kind of works that way, because prison & ex-convict populations count towards how many electoral votes a state gets, but prisoners and ex-convicts generally don't get to vote. summary: it's an outdated and evil system. and it needs to finally be abolished. 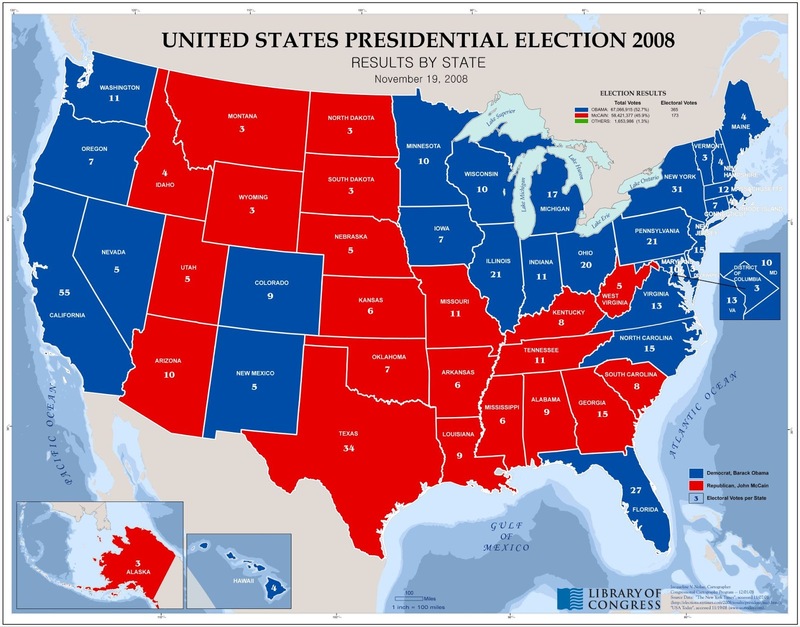 Founding Fathers created a system that, at this point in history, tilts the playing field in favor of candidates who appeal to low-population states and a small set of contested "swing" states, rather than those who appeal to big urban centers in population-rich states that are not contested. Wyoming, the nation's lowest population state, has just over 560,000 people. Those people get three electoral votes, or one per 186,000 people. California, our most populous state, has more than 37 million people. Those Californians have 55 electoral votes, or one per 670,000 people. Comparatively, people in Wyoming have nearly four times the power in the Electoral College as people in California. Put another way, if California had the same proportion of electoral votes per person as Wyoming, it would have about 200 electoral votes.